Gavel the puppy may have started from the bottom, but now he’s one of the fanciest dogs in the world — with the title of Vice-Regal Dog in Queensland, Australia. 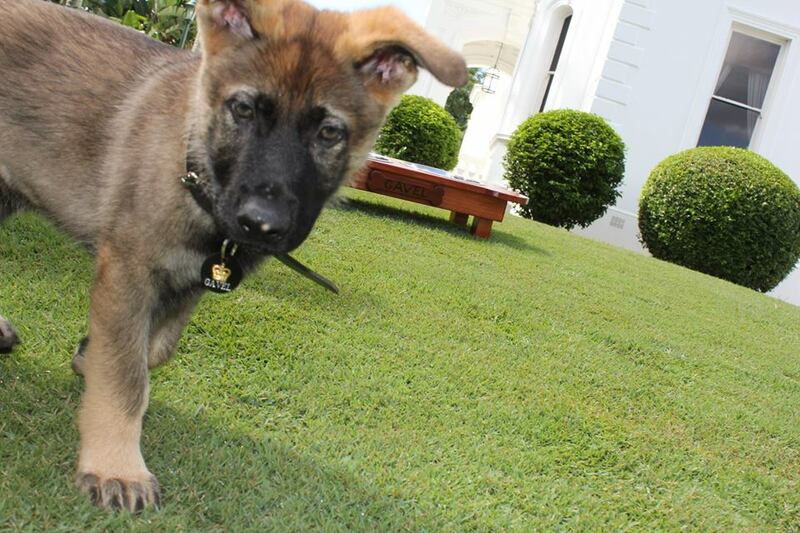 The German shepherd was originally enrolled in a police dog academy with the Queensland Police Service. 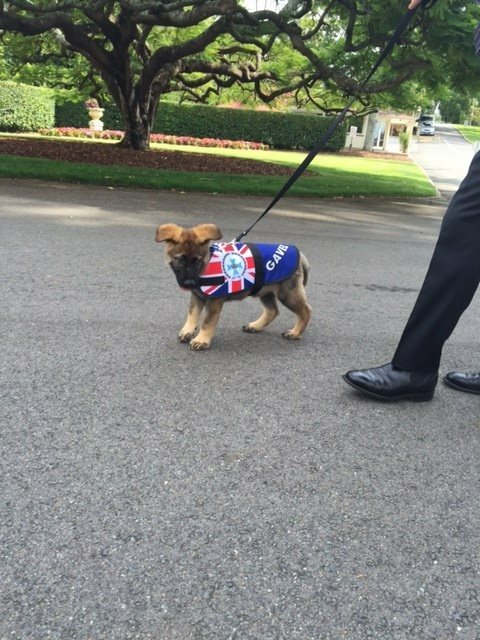 But his handlers there decided he was too friendly and did not have the “necessary aptitude for a life on the front line,” BBC News reports. So in February they kicked him out of the 16-month program early. Fortunately, he wasn’t out on the streets. Gavel had been living at the official residence of the Queensland governor since April 2016, and once he realized he wasn’t suited for police work, Gov. 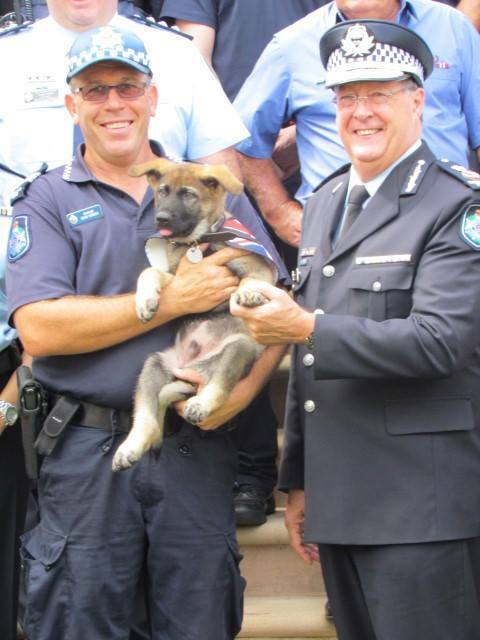 Paul de Jersey gave his four-legged friend a new job. 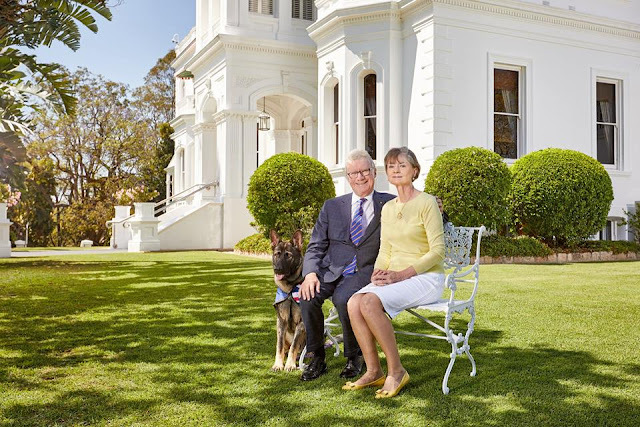 “He has outgrown four ceremonial coats, undergone a career change (his official title is now Gavel VRD, 'Vice-Regal Dog'), and brought untold joy to the lives of the governor, Mrs de Jersey, Government House staff, and the thousands of Queenslanders who have since visited the estate,” the office of Governor Paul de Jersey told BBC News. While Gavel may not be tracking criminals as the police department once hoped, he has been hard at work welcoming guests and playing with tour groups at the governor’s house. 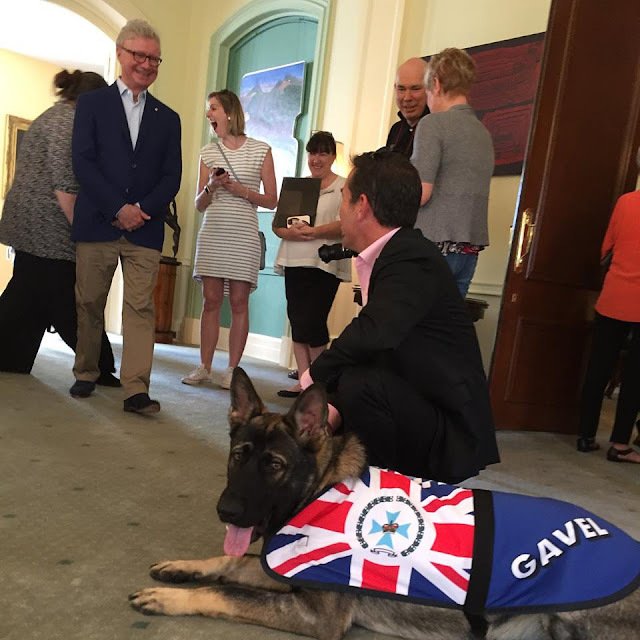 Since his promotion to vice-regal dog became official in February, the governor’s office has started posting many photos of Gavel’s best moments on social media. “We hope Gavel's with us for a long, long time into the future,” Governor de Jersey told 7 News Brisbane. 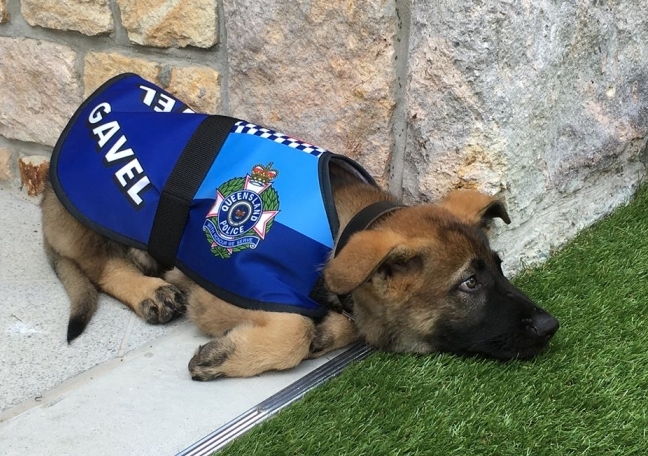 Responses to "Police puppy flunked for being too cute gets adorable new job"